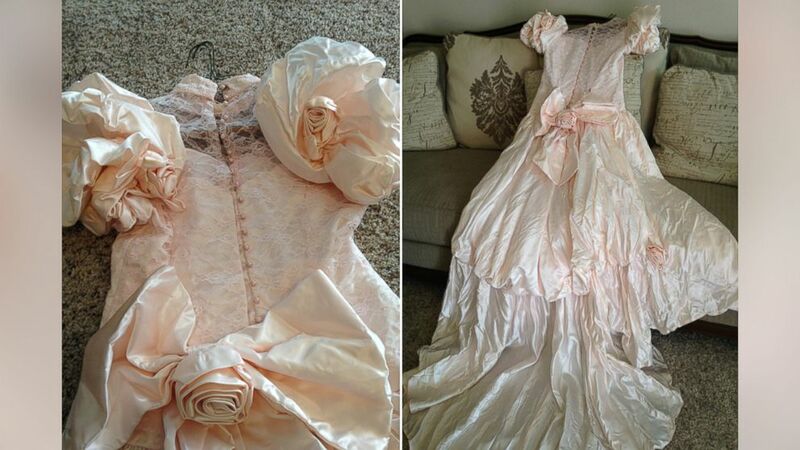 “It’s hand-stitched and laced up, with a big bow on the back," she said. camera (Courtesy Barbara Haynes) Texas woman, Barbara Haynes, is searching for the owner of this pink wedding gown she found after a tornado hit. While Barbara Haynes, of Glenn Heights, Texas, was walking around her neighborhood in the days after a tornado ravaged her town, she noticed a box underneath a tree that grabbed her attention. 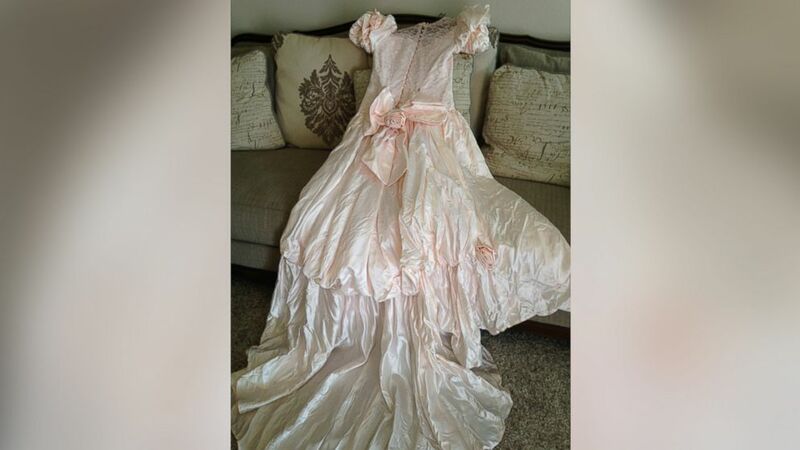 (Courtesy Barbara Haynes) Texas woman, Barbara Haynes, is searching for the owner of this pink wedding gown she found after a tornado hit.